Not all news is sunny for It’s Always Sunny in Philadelphia. 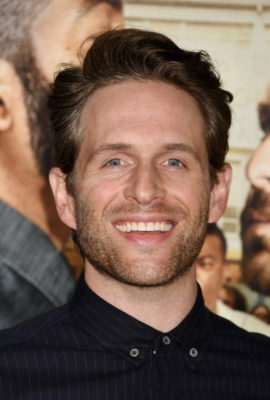 According to The Wrap, star Glenn Howerton may leave the FXX series. Howerton plays Dennis on the long-running comedy, which has already been renewed for seasons 13 and 14. The cast also includes Rob McElhenney, Charlie Day, Kaitlin Olson, and Danny DeVito. The option to come back is there, is in place. It’s very much a creative decision. … Without dancing around it too much… anything is possible. It is possible but it’s hard for me to say what seems probable at this point. It’s definitely not a foregone conclusion that I won’t be coming back. Recently, Howerton joined a new NBC pilot with Patton Oswalt. Additionally, It’s Always Sunny castmember Kaitlin Olson stars in FOX’s new comedy The Mick, which has been renewed for a second season. Though, Howerton notes that Olson will continue to star on It’s Always Sunny through season 14. The season 12 finale of It’s Always Sunny in Philadelphia premieres tonight, March 8th, at 10 p.m. ET/PT on FXX. What do you think? Are you a fan of It’s Always Sunny? Do you think Howerton should stay or leave? No, no, no, Howerton needs to stay on the show–he’s an essential character. THe guy is hillarious on so many levels. It just wouldn’t be the same if he left. I love that Olson is also staying on the show as well. We need her as well. THey all need to stay!